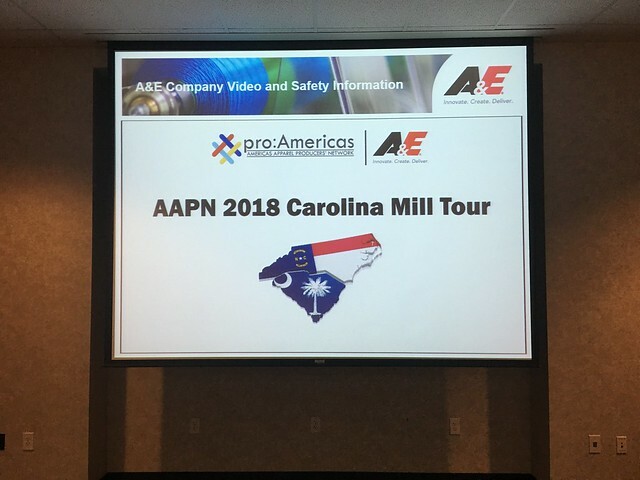 During the week of April 9-13, 2018, the Americas Apparel Producers’ Network (AAPN) conducted its first ever Carolina Mill Tour. AAPN has always been a place where small groups could act quickly. This tour is a perfect example as it was the idea of Contempora Fabrics’ President and AAPN Board member Ron Roach who invested months of planning with AAPN Executive Director Sue Strickland, Managing Director Mike Todaro and several other AAPN members to make it happen. Participants visited Unifi Inc., Greensboro, N.C.; Contempora Fabrics, Lumberton, N.C.; Carolina Cotton Works and Parkdale Mills both located in Gaffney, S.C.; and closed the tour with a stop at American & Efird, Mount Holly, N.C. The tour included 23 executives, managers and staff from Academy Sports & Outdoors, Columbia Sportswear Co., Full Beauty Brands, Haggar Clothing Co., Lacoste, Patagonia, Superior Uniform Group, Target and VF Corp. The single objective of this tour was to educate brands and retailers on steps in the production of a garment starting at fiber, then yarn, knitting and finishing focused on the United States, the Carolinas, the supply chain as well as innovations, investment, jobs, networking and more. To AAPN, it is as though an event like this has been in the making for years. It built on AAPN’s annual conferences, leadership forums, sourcing executive roundtables, regional conferences, regional summits, foreign delegations, the Carolinas solo tour; and even supply chain meetings hosted by AAPN factory members. At every stop, we were met by the company’s CEO and staff. We worked most closely with Ron Roach at Contempora. Now we can apply this format to future tours. 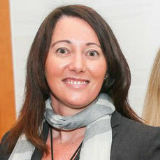 In fact, as Roach said after the event: “There are really two different educations — education on the details as to how things are made and education on how things get done. My focus was always on how things get made with the goal in mind of teaching, but certainly in all of this is the bigger picture of trust, speed, and ownership. Really nothing happens unless all three are present”.